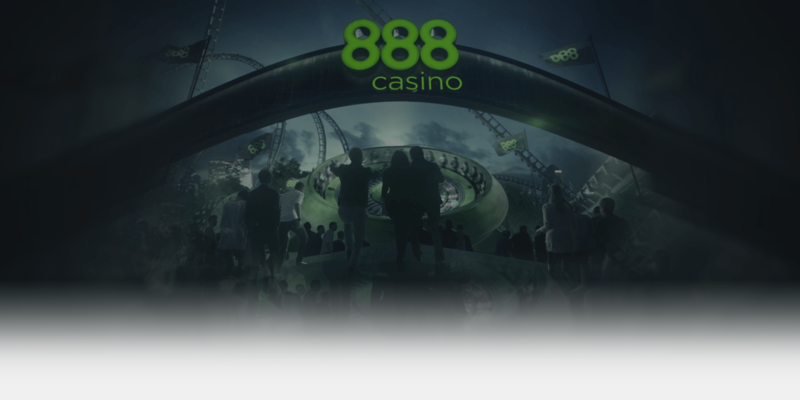 888Casino have over the stretch of their existence made a name for themselves by regularly using casino bonus codes to entice players to make deposits with them and wager on their platform. This season, they have unleashed yet another promotion that will be running up to the first of May 2017 when the offer expires. The offer is meant to entice households to wager up to 12 times all through the promotion period with the restriction of playing only once every day. The offer prompts players to deposit a minimum of £20 or more, but up to £250 for any of the 12 times, they are allowed to participate. 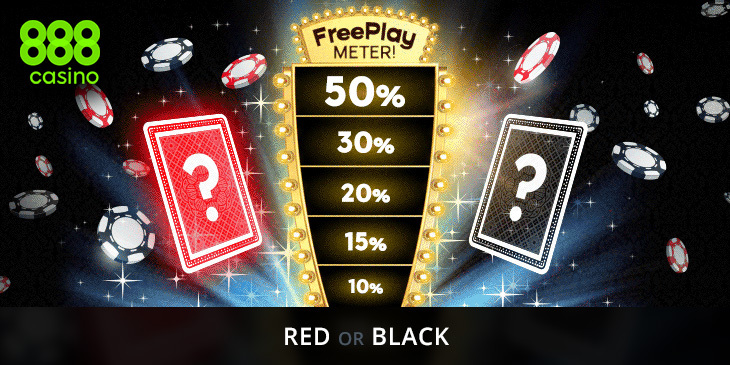 After depositing, players have to choose between a black card and a red one pitted against each other with a FreePlay Meter standing in between them. Depending on the player’s luck, the deposit they place will be multiplied to grow by ten percent, 15 percent, 20 percent, 30 percent or 50 percent and the luck only ascends from the minimum to maximum. If one is lucky enough, their principle deposit could grow by 50 percent, but the most unlucky ones will remain with only the principle they deposit. Any amounts deposited through this promotion cannot be withdrawn but can only be used to wager in other slot games offered by the online casino. According to the terms and conditions of the offer, players have to key in the code HIT50 when depositing to qualify the deposit for the offer. The code can only be used once a day in any household regardless of the number of players present in that household. Every household can use the code only to a maximum of 12 times within the stipulated period. Also, any FreePlay money granted by winning on the FreePlay meter has to be wagered 14 days after it is granted. The FreePlay money is only valid for selected games properly predetermined throughout the offer participation. The rules of the ‘Red Or Black’ game stipulate that players may either choose Black or Red. If a match is made, the deposit gets to be multiplied by ten percent whether or not the player manages to move up the meter. If a match is not made, players have the right to try a second time in every step of ascent on the FreePlay Meter. Where a player misses making a match twice on any level, they BUST and have to wait another day to make another wager on another deposit. Freeplay granted cannot be taken away unless it expires.